Designed in collaboration with Murphys' guitarist Jeff DaRosa and bassist Ken Casey, these semi-hollow body instruments include a sweet box of goodies for fans, including a signed hockey puck. 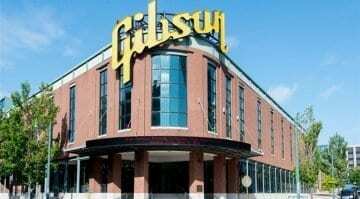 Gibson is officially moving out of Memphis and consolidating its guitar production at its Nashville factory. 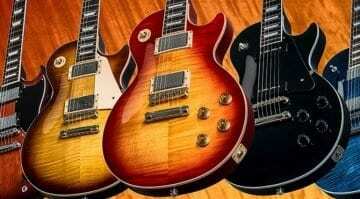 That means all its electric guitars will now be made under one roof. 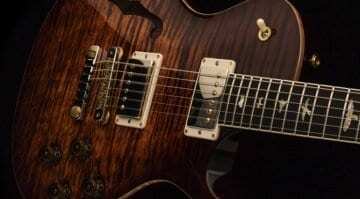 Gibson B.B. 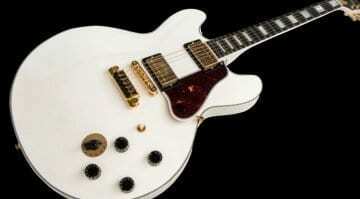 King “Lucille” ES limited edition – in Alpine White! 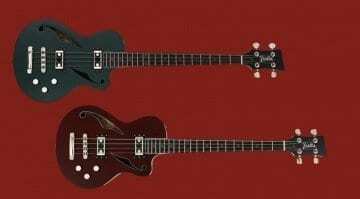 Danelectro introduces some new vintage-inspired Shorthorn and Mosrite styled models for 2018, with better hardware and new pickups. 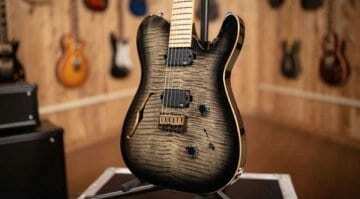 there's also a new baritone model, too. 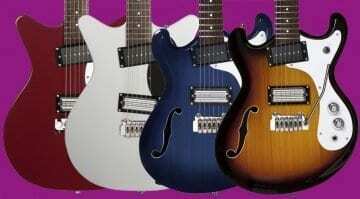 These four new guitars include some new semi-hollow McCarty models, plus a 'John Mayer-ish' Special Limited Edition and a very limited Private Stock McCarty 594 'Graveyard Limited' model. Hand-built in Northern California, these new baritone versions of the Mendocino guitar use high-quality tonewoods and very decent hardware throughout. 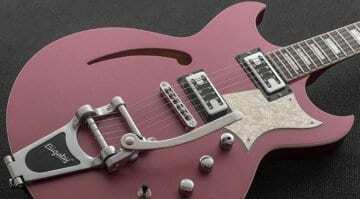 Would you go with a Bigsby or a hardtail? 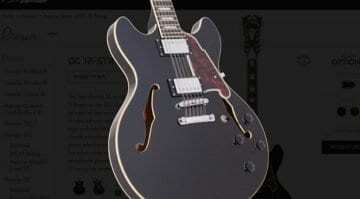 A new 12-string semi-hollow electric guitar for under $1000? This could be just what you need for getting some jangle into your sound, without breaking the bank. 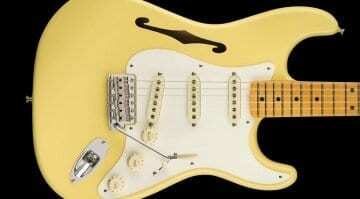 Is the new 2018 Eric Johnson Thinline Signature Stratocaster pure vintage sonic genius or is it just plain old ugly as sin? Hmmm, that f-hole! 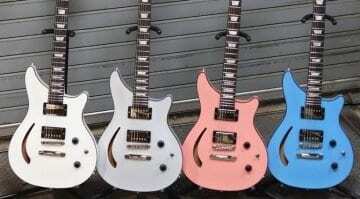 New 24-fret semi-hollow body guitars available in pearlescent colours have just been teased via Gibson's Facebook page and they look like they will once again divide opinion with fans. 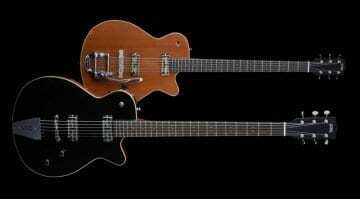 Sublime Guitars’ Chieftain Deluxe: A high-spec yet affordable semi-hollow? 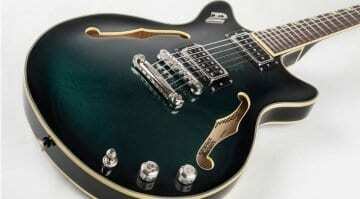 A classy looking new semi-hollow guitar designed to give you the best instrument for the money, this "globally manufactured" guitar appears to have it all for less than a $1000. Too good to be true? 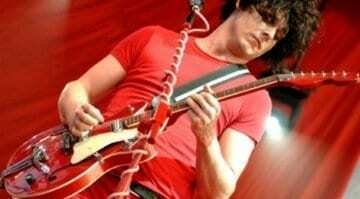 The US guitar giant is flogging its Memphis factory for a cool $17 million, it comes with a nice big car park and an entertainment centre, so a bit of a bargain really. Bye, bye Gibson Beale Street Showcase. These new short-scale, semi-hollow Maranello Cavo basses look like they pack plenty of punch, with some nice finishes and some tasty-looking Toaster pickups. 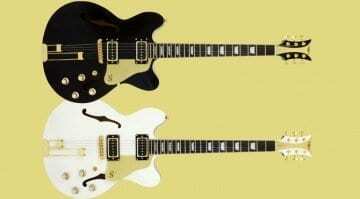 But will they play as good as they look?